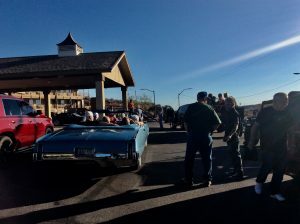 restaurant owners in the historic business district, and the organizers of Chillin’ on Beale to welcome the first European Route 66 Tour led into Kingman by author Jim Hinckley of Jim Hinckley’s America. It was quite a party; owners of vintage vehicles and minivans provided transportation from the motel to the historic business district for enthusiasts from the Netherlands, Germany, and Belgium. The following morning, at Mr. D’z Route 66 Diner, a breakfast was held for members of the Czech Route 66 Association. Route 66 is the most famous highway in America. There are Route 66 associations in Europe, Australia, Japan, and Brazil. Companies that specialize in Route 66 tours operate in a dozen countries. The first European Route 66 Festival took place in Ofterdingen Germany, and this summer the festival will be held in Zlin Czechia. 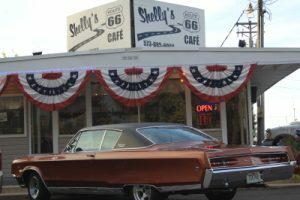 Plans are underway for a 2019 Route 66 tour, and a Route 66 Festival in Oslo Norway in 2020. But the amazing thing about Route 66 is that it doesn’t exist. In 1985, U.S. 66 was removed from the list of federal highways. So, what is so magical about Route 66? It is the quintessential American road trip. It is a living, breathing time capsule with a Disneyland like veneer. It is the crossroads of the past and future where the neon glows bright on electric vehicle charging stations. It is a grand adventure, a special place where the past and present blend seamlessly. It is a living Norman Rockwell print. Stretching from Chicago to Santa Monica through the heartland of America more than 95% of the road remains drive-able, and in towns large and small, it remains the Main Street of America. And now, as the Route 66 renaissance becomes a tsunami, long shuttered businesses are being given a new lease on life, and entire historic business districts are being revitalized. 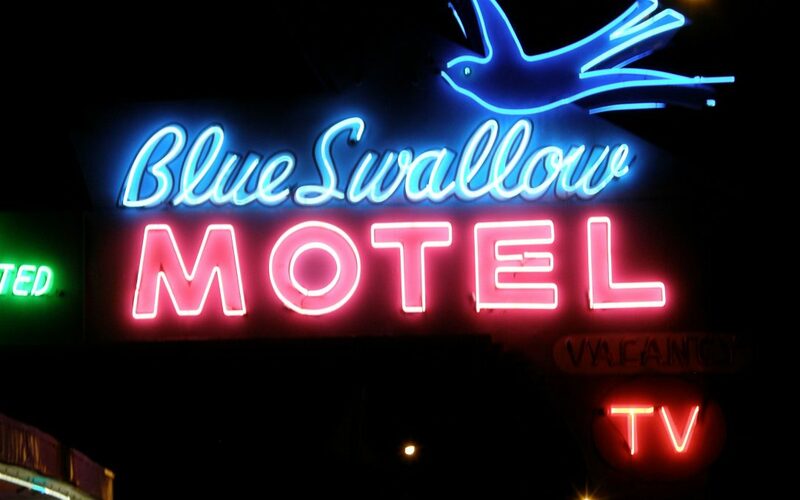 Kingman with its restaurants, microbreweries, eclectic shops, and vibrant neon is one example. Cuba, Missouri is another. This charming Ozark Mountain community is a true delight. 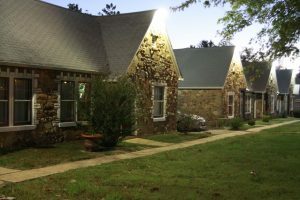 The recently refurbished Wagon Wheel Motel, one of the oldest continuously operated motels on Roue 66, colorful murals throughout town, delightful restaurants such as the FourWay and Belmont Vineyards & Winery, and Missouri Hick, and events such as Cuba Fest held on the third weekend in October, have all played a part into transforming this small town into a destination. This summer rediscover, or discover, the great American road trip. You can start with a drive along 160 miles of smiles between Topock on the Colorado River and Ash Fork. Make it a weekend adventure, enjoy a lunch in Kingman, beat the heat with a stay at Grand Canyon Caverns, and get energized in Seligman where the streets teem with visitors from throughout the world and you will be hooked on the magic that is Route 66.